These rustic 5″ Twig Dream Catcher with Spirit mask is a must have for any collector of Alaskan Art. 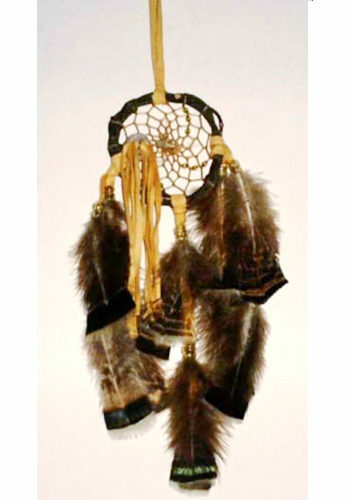 Every Twig Dream Catcher is made from all natural materials. 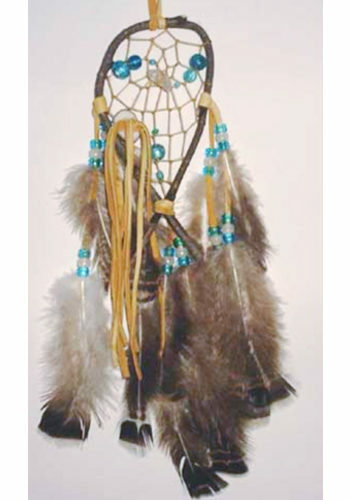 Every one of these Dream Catchers is a wonderful work of Alaskan inspired art. 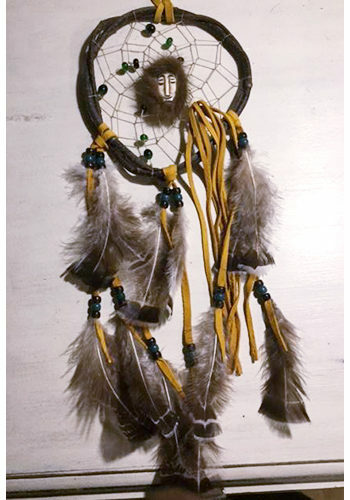 Besides that this Twig Dream Catcher with Spirit Mask is handmade and therefore each one is a truly unique. The Spirit mask is hand carved from real bone. First off we make each one from real wood twigs harvested from the forest. Then the twigs are bent into classic shapes using techniques passed down through the generations. Secondly we embellished them with soft leather. Finally we adorn them with buts of Sea Glass and decorative glass beads. Each one of these wonderful examples of Alaskan Art would make a n exquisite keepsake. Honestly customers and collectors will want to buy every one of these wonderful Dream catchers until they have the complete collection. The first thing we do is start with a real piece of wood. Then we shape it with care using methods handed down for generations. 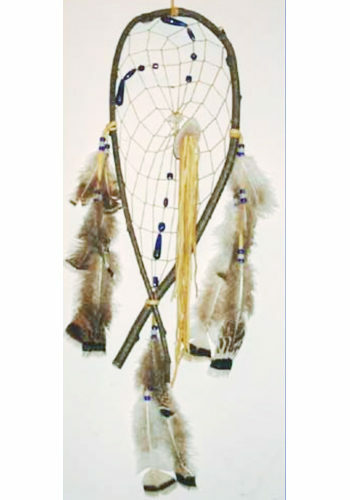 The Twig Dream Catcher is stretched across the twigs in the manner of old. 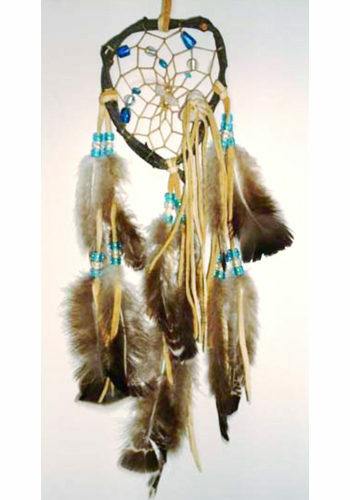 Then the Dreamcatcher is adorned with supple leather straps and beautiful real bird feathers. Finally we decorate it with beautiful bits of Sea Glass, stones and glass beads for that authentic look that speaks of Alaska.